Kids love playing games, and with more and more kids fascinated by their parent’s phones and other mobile devices, many children are spending more time playing video games and looking for apps that are appropriate for them and their interests. Some of the most popular games in the app store are big hits with kids, like Angry Birds, and while this game does teach kids some basics of physics, it’s mostly just a fun game. If your child is mesmerized by mobile devices, there are ways to harness that interest and use it to help bolster their early education. There are plenty of educational games, activities and other apps that can benefit kids and their learning skills. With games that focus on math, spelling, language arts, science, social studies, languages, early learning, storybooks, games and more, kids can still have a blast while learning key skills that will help them perform better in the classroom. When it comes to choosing the right educational apps for your child, there are so many for you to choose from. There are apps like Fishing with Grandpa available in the iTunes App Store that are great for developing early learning skills or Wonster Words, also available on iTunes for various devices, that helps acquaint kids with phonics. Traffic is a programming and coding game for children, a field that is exponentially growing and is becoming an arguably necessary and employable skill for people in many different fields. There are also interactive stories, like Pinky the Pink Penguin that aims to teach kids about diversity and accepting others because being different can be good. 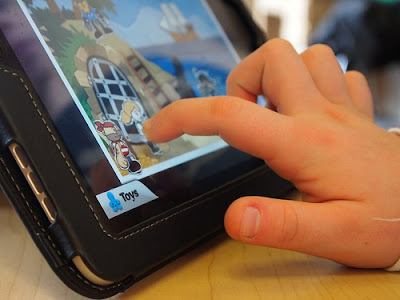 We also offer a wide variety of different personalized interactive e-books that can be downloaded and accessed on mobile devices for kids to peruse and learn key reading comprehension skills. There are other creative unique apps out there as well. ADHD Skill Boosters Tween is great for kids struggling with this particular disorder and helps them bolster their learning skills in a way that suits them and their needs. When it comes to finding the right apps for your kids, one of the best places to look is in recommendations lists or app pages that link to similar apps. Look at what games your child is known to like and see if there are any similar apps out there that might offer some educational benefits as well. Even searching for the apps listed here will bring you to even more “recommended” and “similar” apps that you can peruse. Before downloading an app, especially ones that cost money, make sure that you read the comments and that it is not too easy for your kids to accidentally buy features and other aspects of the app that they may advertise. It also helps to remember that educational apps are still games. Spending time on a digital device is not inherently bad, and making sure that your child is acquainted with the various digital platforms out there can help prepare them for the world – but it is just as important that kids have variety in their daily activities. It is still important and beneficial to encourage reading from physical books, playing board games, being active in or out doors and participating in a wide range of different kinds of activities, is good for children and their overall development.